Energy Infratech Pvt Limited (EIPL), a company which was reportedly suspended as the Owners Engineer (OE) at Karuma and Isimba Dams, is still receiving payments from the government of Uganda, this publication has learnt. The Energy Ministry in September 2017 said that it had stopped Energy Infratech Pvt Limited (EIPL) from supervising works at Isimba and Karuma Power Dams over failure to supervise the projects. The two multi-billion dams had developed cracks blamed on substandard materials and lack of supervision. The alleged suspension came after President Yoweri Museveni wrote to Energy Minister Irene Muloni in March 2016, calling for prompt action against Energy Infratech Pvt Limited (EIPL) after intelligence reports discovered shoddy work at the two dams. The President later appointed a Project Steering Committee Chaired by former Electoral Commission Chairperson, Engineer Badru Kiggundu to oversee the projects including correcting the cracks. Dr Kiggundu and his team in early September caused Energy Infratech Pvt Limited (EIPL) to handover the sites to Uganda Electricity Generation Company Limited (UEGCL). UEGCL is said to have assumed the role of Owner’s Engineer (OE) together with SMEC Pty Limited as Project Management Consultants. While SMEC Pty and UECGL were acting as the Owner’s Engineers at Isimba, the dam got flooded in December. The floods are said to have affected the developments at the powerhouse. No proper explanation was given as to why the problems faced under Energy Infratech Pvt Limited (EIPL) as Owner’s Engineer were recurring under SMEC Pty and UECGL. 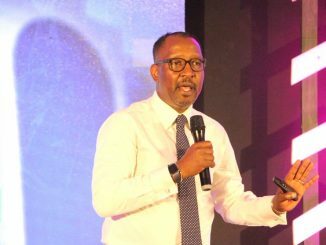 UEGCL Chief Executive Officer Engineer Harrison Mutikanga blamed the flooding on inadequate quality control on the site but declined to divulge more details. 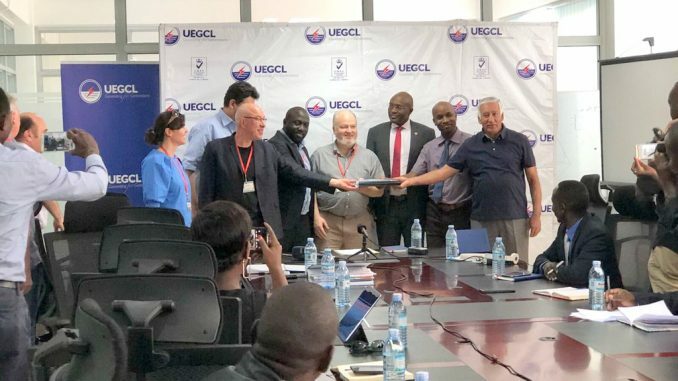 Last week, UEGCL handed the Isimba Dam project to a French firm ARTELIA EAU and Environment in partnership with local firm KKATT. 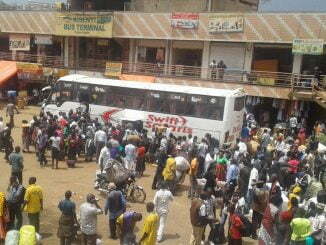 The firms will earn USD 4 million (over 14 billion Shillings) for the seven months job. But the Auditor General’s 2017 report to Parliament has indicated that EPIL was still at Karuma and Isimba dams even when the government said its contracts had expired. UECGL Chief Executive Officer, Harrison Mutikanga could not explain why Energy Infratech Pvt Limited (EIPL) is still at Karuma dam. However, the Energy Ministry Permanent Secretary, Robert Kasande in a telephone interview, however, said Energy Infratech Pvt Limited (EIPL) contract was still running. Kasande explained that there were likely to be dire ramifications if government terminated the contract. It has also emerged that the contract awarded to Energy Infratech Pvt Limited (EIPL) for the Isimba and Karuma dams had not been pegged on completion of the projects. EPIL’s contract will accordingly expire in April 2018 and not September 2017 as earlier claimed by Uganda Electricity Generation Company Limited and Dr Badru Kiggundu’s Project Steering Committee on Karuma and Isimba dam. It is evident that the government is footing almost double cost for the Supervisory work at the two dams by hiring new Owner’s Engineers while at the same time still paying Energy Infratech Pvt Limited (EIPL). Energy Infratech Pvt Limited (EIPL) was in 2013 at paid USD 11.2 million (37 billion Shillings) to supervise the second phase of Karuma Power Project. A document seen by this publication shows that Karuma and Isimba dam contracts were the biggest earners for Energy Infratech Pvt Limited (EIPL) by September 2017. “Most of EIPL’s revenues were derived from Ugandan projects under MEMD, Government of Uganda in FY2017. The outstanding order book from these projects constitutes ~58 percent of the total outstanding order book of EIPL as of September 2017, exposing the company’s income to high client-concentration risk,” said a statement by credit rating agency -ICRA. ICRA Limited, a Moody’s Investor Service Company in September 2017 gave Energy Infratech Pvt Limited (EIPL) BB rating among firms operating in India. The BB rating instrument according to ICRA considered meant Energy Infratech Pvt Limited (EIPL) had a moderate degree of safety regarding timely servicing of financial obligations. Energy Infratech Pvt Limited (EIPL) is originally registered in India with a second office in Uganda. While claims a 13-year track record and competency in the consultancy space for the hydro-power industry India, its record in Uganda is wanting. The question is whether Ugandan projects had been starved of the needed finances in order to meet the costs of running projects back in India. The Kiggundu’s Project Steering Committee had established that EPIL for long period of its contract at Isimba did not mobilize key supervision personnel to fully lead the construction. Dhruva Chakravorty, the former Isimba Project Manager in the past blamed China International Water and Electric Corporation (the firm constructing the dam for not heeding EPIL directives aimed at the better integrity of Isimba. A contractor previously subcontracted by China International Water and Electro Corporation (CWE) told this publication on condition of anonymity that the Chinese were partly to blame. The source revealed that the Chinese would crush rock stones in the night for use as sand instead of purchasing recommended sand. 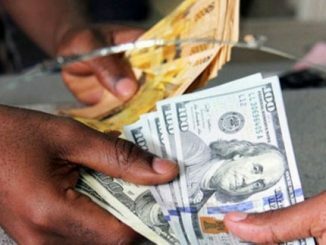 The source concluded that Uganda could be paying the price of having awarded the two power projects to the Chinese firms: China Water and Electric Company (CWE), building the 183 MW Isimba dam at USD 567 million (2 trillion Shillings) and China’s Sinohydro, contractors for the over 600 MW Karuma power dam at a cost of USD 1.7 billion). The source said Chinese state-owned enterprises fought hard to take the two flagship power projects in Uganda by underbidding other competitors.